It’s Fair Time! 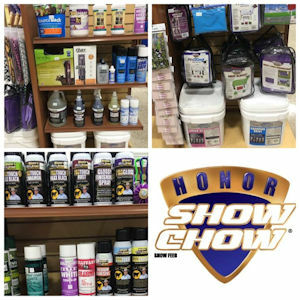 Rainbow Ag has everything you need to prepare your animals for the fairs, whether they are horses, hogs, or hamsters! Check out the huge selection of grooming supplies including clippers, shampoos and tack – and of course quality Purina feeds to put your animals in top shape for the judges. (And, yes, we have “Whites!”) Rainbow’s staff has a variety of experience and are happy to help out with advice and suggestions. Don’t forget to watch for Rainbow at the Redwood Empire Fair, the Lake County Fair, and the Mendocino County Fair & Apple Show. We’ll be there in the buyers section too! 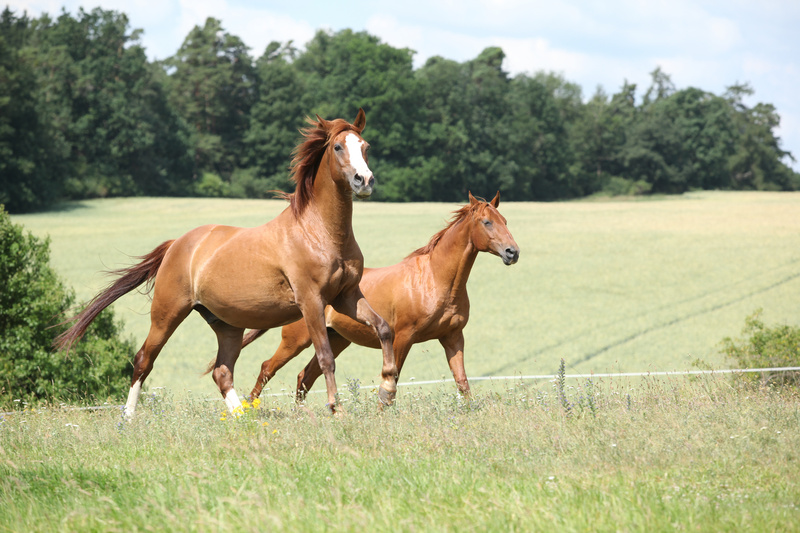 Summer heat can stress your horse and it important to make sure your horse is not becoming overheated, stays sufficiently hydrated and remains comfortable, even when temperatures soar. 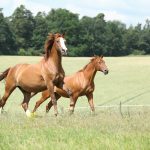 Check out this video courtesy Purina Mills, with excellent information about keeping your horse healthy even when the temperatures are off the chart. Willits Rotary Club and the Seabiscuit Therapeutic Riding Center (formerly known as T.R.A.I.L.) are gearing up for “Claws for a Cause” on September 3rd, 2016. This popular event will be located at the “Historic Howard House” on the famed Seabiscuit Ranch. 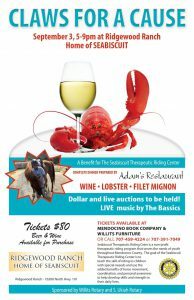 Guests will enjoy this beautiful and historic setting with an evening of fine dining which is planned and prepared by Adam’s Restaurant of Willits, live music by “The Basics”, whole live Maine Lobster accompanied with filet mignon steak skewers, appetizers, dessert, beer and wine. To attend, make a contribution and/or be one of the event sponsors, call Diane Cannon, President of the Seabiscuit Therapeutic Riding Center at 707-489-8372 or Mike Smith, Willits Rotary Club event coordinator at 707-972-2471. 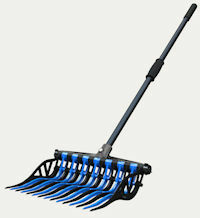 Don’t miss this month’s subscriber coupon for $5.00 off the popular Noble Wave Forks. These quality tools have replaceable tines and come in a variety of colors, so you can coordinate with your stable colors! 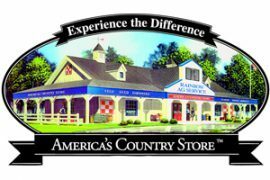 Don’t forget to enter the On The Right Lead Trivia contest – be entered to win a $15.00 gift card from Rainbow Ag. The answers are in this newsletter! Before you know it, it will be Back To School! 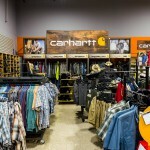 The Rainbow clothing and boots departments are bursting with the latest and greatest of Western Fashion from Wrangler, Carhartt, Montana Silversmiths, Justin, Ariat and more! 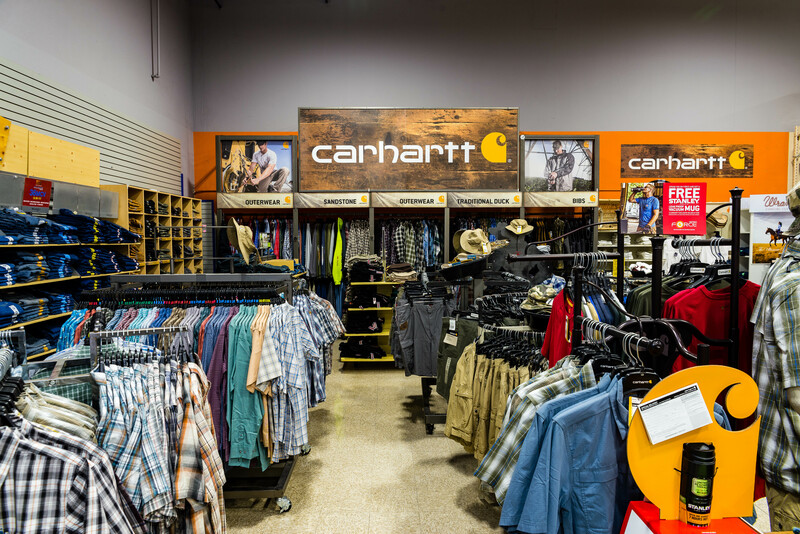 There’s clothing for every student from preschool to college, so stop by for some good-looking duds to make that back-to-the-classroom transition easier. Enjoy the events during this last full month of summer – if you happen to be at Redwood Riders’ Jameson Arena, be sure to appreciate the new sand footing! And, let us know about your groups’ events, clinics, shows or rides! Just send the information to deraldi@rainbowag.com and we’ll add it to the events calendar. This entry was posted on Sunday, July 31st, 2016 at 3:05 pm	and is filed under News, On The Right Lead Newsletter. You can follow any responses to this entry through the RSS 2.0 feed. Both comments and pings are currently closed.